Every company should always be cognizant of their company culture, no matter the size of the organization. In these turbulent times, it is even more necessary to focus on culture. Not only for the obvious reason of keeping productivity levels strong in a difficult market but also to keep happy employees for when the job market rebounds. Currently working individuals are sought after in any market. This is not to say that if you find yourself currently unemployed that you are neither less important nor less valuable, there numerous circumstances these days for employers to consider. For those whom are currently employed, there is more of a “woo-factor” that needs to happen with the talent seeking companies. Why? If you are currently working then you really don’t HAVE to make a career move and you are typically better able to compare; the company’s, available projects, salary’s, benefits, work environments or whatever maybe of personal importance to you. Having said this, if your corporate culture is not strong or conducive to your current employees then their wiliness to explore new opportunities or to actively job seek once the market improves is greatly increased. Don’t assume that because your employees have a job and that they are busy that they are happy. Managers need to be engaging and open to all sorts of conversations, especially now. 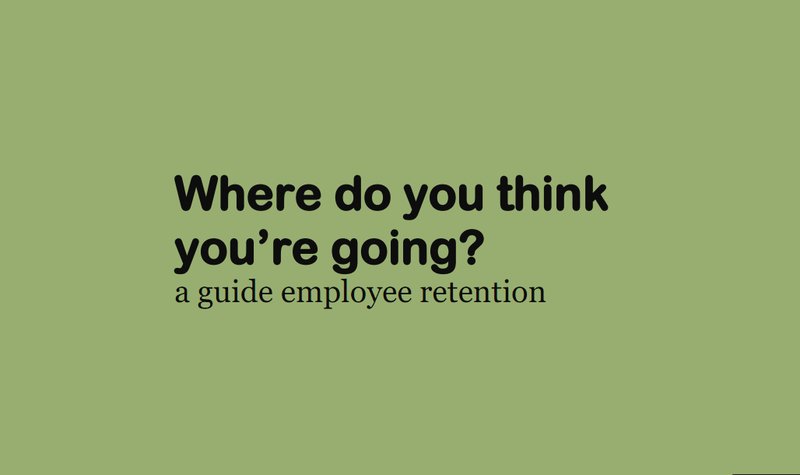 Attrition is a natural part of any business but retaining performers is also critical. Make sure to keep your employees engaged, interested, and open to conversations. Feedback can be difficult to digest which means open conversations are a must. A great example is with a conversation I had recently with one individual who said that her manager took her out to lunch for an open table conversation and that he wanted to know her thoughts and concerns. She was very hesitant to participate but took him at his word and she did have a difficult conversation. It sounded to go well and some minor changes have already been noticed in her office. I love this for a few reasons. First, the conversation was set up as a non-career threatening, open table conversation. Second, the conversation took place outside of work to make it a bit more relaxing and less formal. Third, the manager listened, was not defensive or aggressive, and began to make positive changes to his employee. This is a learned process for everyone, and a trust factor must be there to have a real conversation, but it is good to keep that communication line open. You may need to begin with short conversations and slowly expand them as the trust level increases. As I said previously, the goal is to retain productive employees. Treat your employees with respect, take time to learn their interests and passions, and help them with these areas (if possible)… then watch them remain a happy employee. There are many ways to improve a business culture, how can you make a positive impact on retention?